Welcome to Rosebury and Hohenzollern Cavaliers, located in the southern part of Germany - in the lovely area of Franconia. Kulmbach is appr. 100 kilometers north of Nuremberg (Nürnberg) and about 250 kilometers east of Frankfurt. 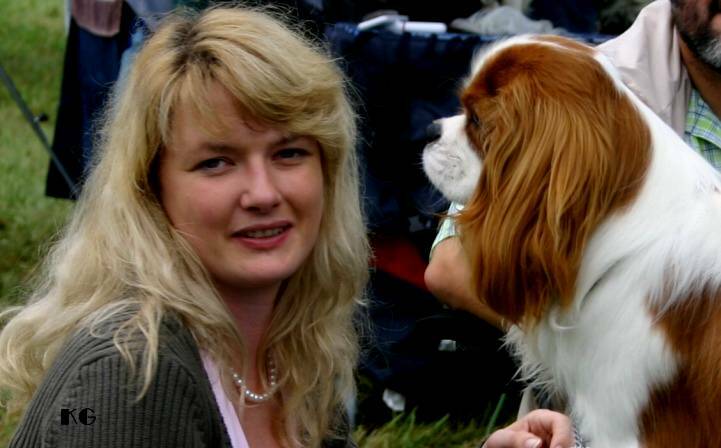 We have been involved with Cavaliers since the 1980's. 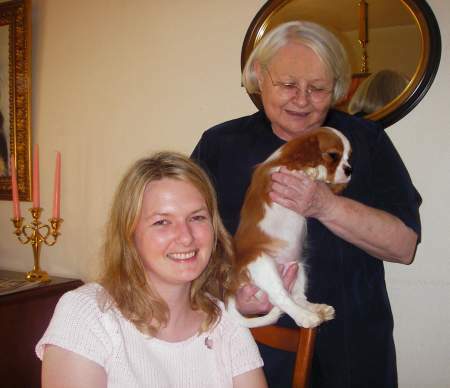 Cavaliers "von der Hohenzollernfeste" was established in 1989 by Doris Hollweg with the purchase of our first Cavalier. Almost ten years later Claudia established her own kennel "Rosebury" in 1996. Over the years, we have added some wonderful Cavaliers to our household and have been very blessed with good results. We are committed to quality vs. quantity and do not breed more than an average of two or three litters per year, maximum. All of our Cavaliers are part of the family and raised in our home in a family environment. Our litters are carefully planned, utilizing pedigree research, cross-faulting and health information. Each breeding is done with the planning and hope that there will be a "keeper" for us. Anyone who has had the pleasure of living with a Cavalier King Charles Spaniel can tell you this is a breed that is fun, happy, loyal and smart. They’re extremely lovable so you can’t help but be enamored by them! Their sweet temperaments and wonderful dispositions make them totally irresistible, so if one hasn’t captured your heart yet, just wait, it will given the chance! Every breed of dogs pertains to different illnesses. Unfortunately, Cavaliers are no exception as they are prone to mitral valve disease (MVD), syringomyelie and luxating patellas. Therefore we are testing our Cavaliers every year - Testing includes a yearly examination of the heart by ultrasound and/ or auscultation, patellae luxation, eyes by a board certified Ophthalmologist, and finally we have a selected breeding programme for Arnold Chiari disease or called syringomyelie. When our puppies leave here, our responsibility to them and their new owners is for life. We are always available to help in any way we can. It is very important for us to maintain a good relationship with everyone that has one of our babies. Our puppies have an EU-passport, a tatoo and / or microchip and all vaccinations they need at the time they are leaving our house. Also, please research the pros and cons of a dog in depth before purchasing a Cavalier as it is a life time commitment which shouldn‘t be taken lightly. So, I hope this has given you a glimpse of who we are and how much we love our kids. Please feel free to write us with any questions you may have and thank you for stopping by!